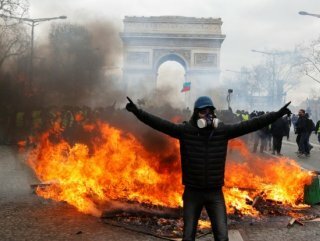 French police fired tear gas and arrested dozens on Saturday in clashes with protesters as the yellow vest movement sought to inject new impetus into its four-month-old revolt. 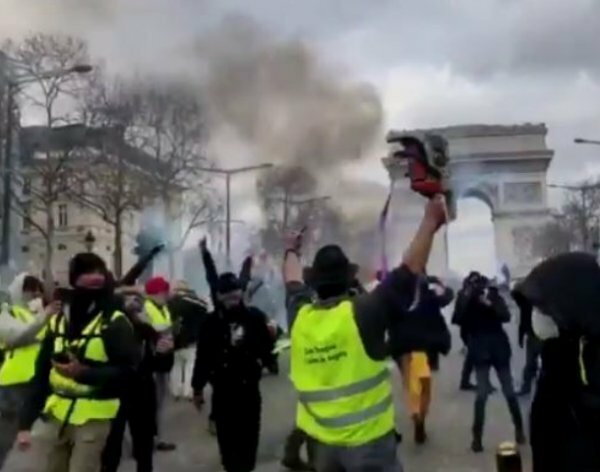 Protesters threw cobblestones at riot police through clouds of tear gas in front of Paris’ Arc de Triumphed monument, which was ransacked at the peak of the protests in December. 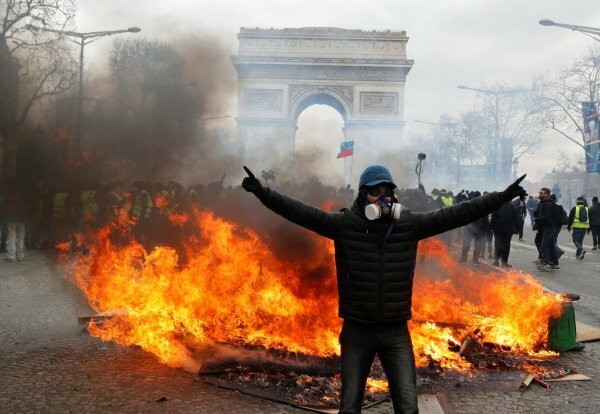 Bonfires were started in nearby streets, with at least one car in flames. 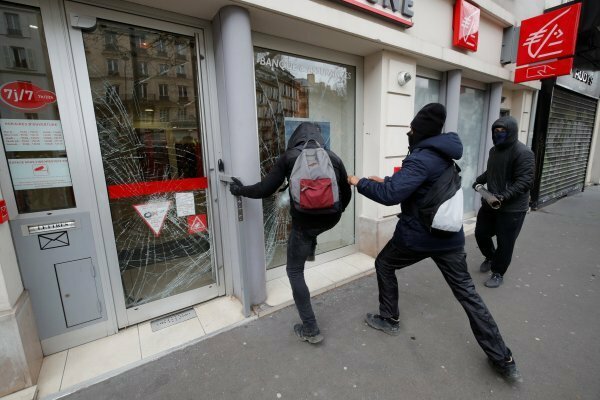 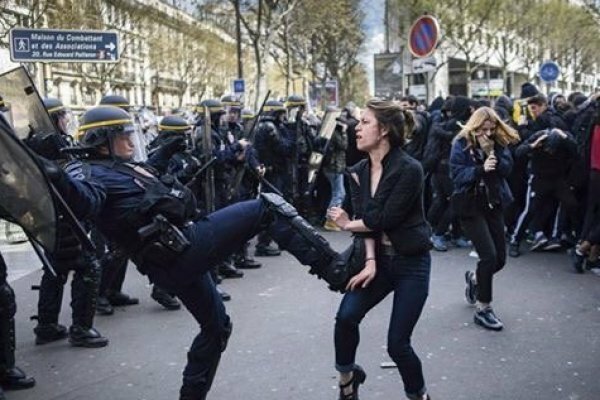 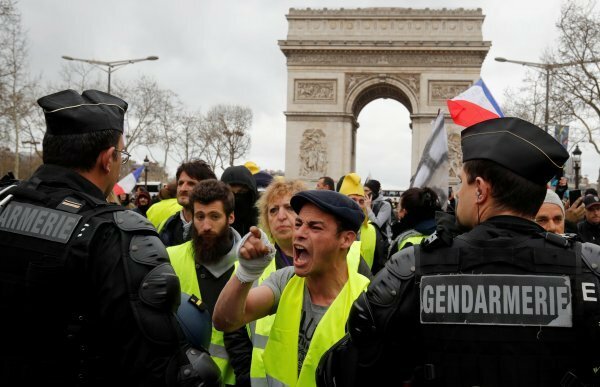 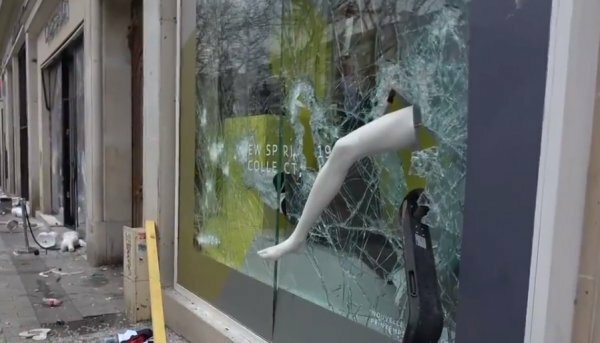 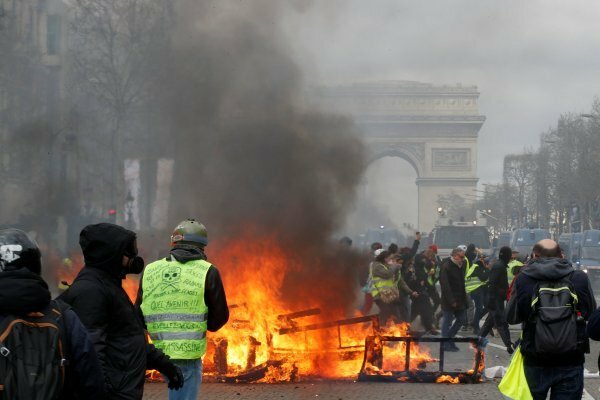 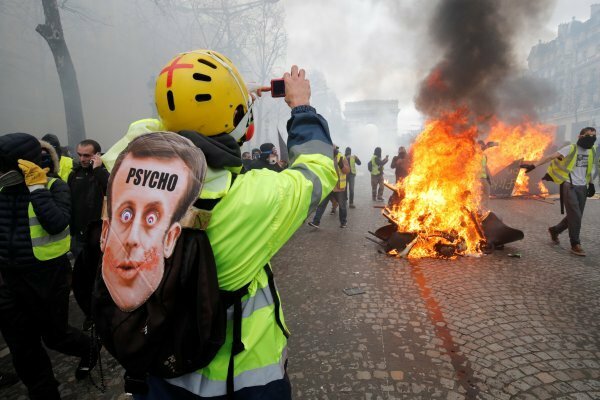 Police also used water cannons and had arrested more than 30 protesters by late morning as tensions flared at the top of Paris’ upmarket Champs Elysees avenue, where the windows of a high-end restaurant were smashed.